As a first time buyer, Irene made this stressful experience a pleasure. Her encouragement, patience and real estate knowledge made my first house buy a breeze. When we needed to sell our house, I spoke to a friend who referred me to Irene McCool. 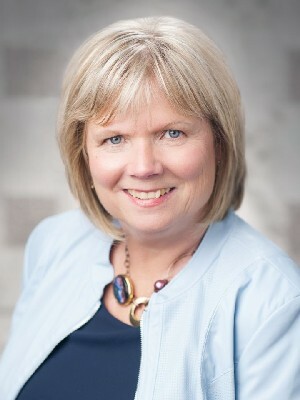 I'd like to "pay it forward" and recommend Irene to anyone looking to buy or sell their home.​ In Caledon, there are a multitude of real estate agents you can choose from but if you are looking for an agent who will provide you with a wonderful real estate experience, Irene is definitely the person to contact. There are many things to consider when selling your home, price being the biggest factor. When Irene met with us, she provided us with options and support information for each price unit. Ultimately, the decision was ours, but we relied on Irene's experience and expertise and it paid off. Our house received competing offers and sold the first day it was listed AND we received several thousand more than our asking price! In addition, not only did Irene provide us with recommendations to help us prepare the house for showing, she also provided us with phone numbers and contact names to assist us with small items that needed attention. This may seem like a small thing but it expedited the whole listing process by several weeks and in our case, time was of the essence. She made it a priority to respond to phone calls, emails and any other inquiries we made, not only during the initial stages of obtaining our business but following the closing as well. Irene took the time to understand what we were looking for form our real estate agent and then surpassed all of our expectations! After having several agents do an evaluation of my mother's home, and getting a varying degree of listing prices, I decided to list with Irene for multiple reasons. She wasn't the lowest and she wasn't the highest listing price. Irene came in, and could see beyond the 30 years of stuff that had accumulated in my mother's house and she could also see beyond the work that had to be done to get the house listing ready. I picked Irene because she had a very patient approach with my already flustered mother and making this the easiest experience for my mother was high on my priority list. Irene followed up regularly by dropping by the house to see our packing/purging progress, long before she was chosen as the listing agent. She just seemed to take a very active and concerned approach to how this was all affecting my mother. The house was listed and sold in a very reasonable amount of time and we got what we wanted. Everyone walked away a "happy camper". When we finally decided to downsize, we enlisted Irene McCool to help us with the daunting task. Of course her knowledge of the housing market was indispensable - but her calm and patient, step by step approach, was so greatly appreciated - she led us through the process of selling our house beautifully! Our house sold within 5 days and as we would be renting for a period of time, Irene provided that opportunity to use in the same turnaround. When we are ready to move one again, we look to Irene for our final (hopefully) destination. We can not say enough good things about Irene McCool. After 36 years in our home, we decided to downsize. Having been out of the housing market for so many years, we were overwhelmed. We had multiple real estate agents come in to our home to see who would be the right fit for us. Irene was the first one we called and she set the bar for those who followed. She came well prepared, her quiet manner, her professionalism and her knowledge of the market set her apart from the others. She took us by the hand and was with us every step of the way. Her suggestions on the few things that needed to be done to the house market ready were invaluable. Irene's marketing, the virtual tour, was nothing short of amazing. Our home sold in less than 5 days for 99% of asking price. Would we do it again - yes - but only with Irene McCool. Our long search finally ended when Irene found an affordable cottage in the Haliburton Highlands. She really did save "the best to last". Her real estate knowledge was evident in preparing an arduous offer that covers the many aspects of a cottage under new construction. The close went smoothly and we are now planning many summer vacations in cottage country. Irene was the right agent for us because of two very important reasons. First, Irene was quick to understand the type of home we were looking for. She then only presented homes that met our criteria, which saved us a lot of time and energy. Secondly, once we were ready to put in an offer, Irene's extensive market analysis helped her negotiate the best price for our new home. Thanks to Irene, the process of buying our home was enjoyable. In the process of buying and selling a home, Irene displayed the utmost professionalism. Her ability to keep calm, focused and to keep us relaxed and at ease throughout this process is commendable. She sold our home in a timely manner and we are now living in our dream home. The requirements of our new home were very specific and hard to find. Thank you again for location our "one of a kind" home. Irene took the time to understand what we were looking for in a new home. She also understood what we needed to gain from our existing home in order to make the move. She helped us come up with creative solutions to obtain the house we wanted and negotiated on our behalf. Irene was very knowledgeable of local building codes and property issues and was able to recommend local contractors for work we wanted done in the new house. Irene was always prompt at returning our phone calls and emails. She really helped alleviate some of the stress during the entire process. Thanks for all your efforts in selling our home. We enjoyed working with you and are relieved to have sold before our transfer to Montreal. Thank you again for a job well done.